This past semester we enjoyed a visit from a very well-regarded scholar and museum direct. In a seminar with faculty and graduate students on public history, he commented that he could not quite recognize the scholarly value of Twitter. At this comment, my colleagues and students looked over at me, a relatively well-known Twitter user in my department, and expected me to defend the service as a medium for scholarly debate. I was caught off-guard a bit and fumbled around before responding that I rarely saw genuine scholarly debates on Twitter, but often used it as a way to communicate with my academic colleagues. While I stand by this answer, I began recently to think of the role of Twitter in curating the web. A colleague asked me recently to recommend a good RSS reader. I realized that I never use my RSS reader any long and rely on my Twitter feed to point out articles, blog-posts, and other web content of interest. I was reflecting on this while I was enjoying Gustman’s and Neelon’s The History of American Graffiti (New York 2010). The authors of this work comment that the difficulty involved in documenting the history of graffiti is that as a tremendously ephemeral form of public art, curation practices were essentially non-existent. When exhibits of graffiti appears in major galleries or museums, the art itself is often removed quite radically from its original context (and I know this can be argued for almost all art in museums). Not only is the art documented in such a way to make it permanent, but it is protected from the vagaries of time, rival artist, and other forms of sanction. 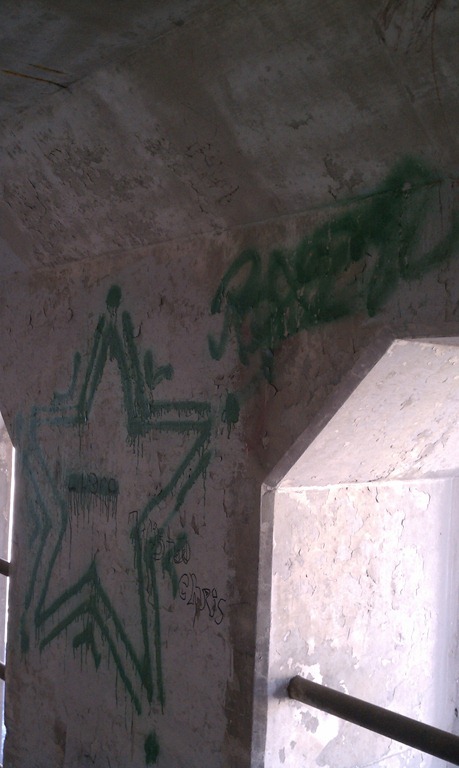 The tension between the subversive character of graffiti and its celebration by the cultural elite, is well-known. Thinking about this on my walk home one day this past week, got me to consider how we could use Twitter to develop a curated space of in situ graffiti art. My community of Grand Forks, is hardly known for its street art, although the bustling rail yard does provide a link between the town and the wider world of graffiti production. I began to consider, nevertheless, how taking geolocated photographs of graffiti with time stamps and then circulating these photographs on Twitter could begin to produce a virtual gallery of local street art. Unlike the museum, where the curator produces the exhibits for the masses, using Twitter to curate street art would, in effect, rely upon the community to curate art for the community. A smart-phone and a Twitter application is all that someone would need to contribute to the gallery of local art. Contributing to the gallery would be as easy as including a hashtag on the Tweet and a link to a photograph which would then become part of an expanding and rotating collection. The lack of permanence of Tweets could be a concern for the creation of an archive, but the lack of permanence of individual Tweets has a nice parallel with the lack of permanence of most of the street art. In short, social media services like Twitter can provide a medium to curate an ever changing collection of graffiti art with essentially off-the-shelf tools. Of course, none of this is a revelation to followers of social media trends. At the same time, it certainly feels like we have not yet realized the potential for something like Twitter to curate more than just the space of the internet. The proliferation of non-places which must include “real” space of the physical environment as well as the virtual spaces of the internet provides ample reason to reconsider the way in which new practices of curation expand the idea of the museum.